Big days out in big country demand a bike that's up to the task. For 2018 Cube have started with a blank sheet of paper and crafted a brand new Sting 140 HPC Race that's better handling and lighter than ever. 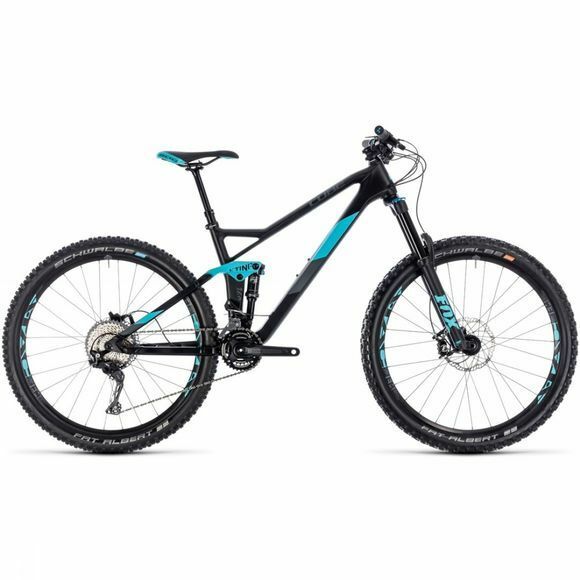 With a new carbon fibre main frame in sizes down to 13.5 inch and revised geometry, it's your gateway to longer, more adventurous riding - and more fun, whether you're tackling steep switchbacks or a fast, rolling singletrack descent. Featuring an easy to adjust Fox 34 Rhythm fork and Float DPS shock, powerful Shimano Deore hydraulic disc brakes and Shimano's superbly reliable 2x11 SLX and XT gear components, it's their all mountain queen.